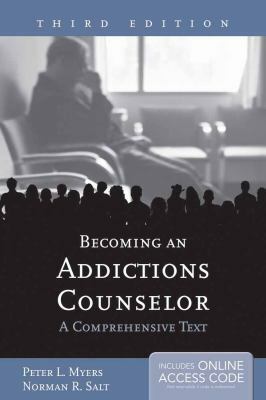 Becoming an Addictions Counselor, Third Edition provides evidence-based findings, cutting-edge treatment techniques, and a focus on critical thinking to show future counselors how to respond to clients' needs rather than impose "cookie-cutter" routines. Topics explored in depth include: - Mentally ill chemical abusers - Individual, group, and family counseling skills - Clinical treatment issues Each chapter takes an experiential learning approach to these topics and encourages readers to practice individual and group counseling skills through structured activities and exercises. With thorough discussions on ethics, treatment planning, and case management, this text prepares readers to become ethical, competent counselors.